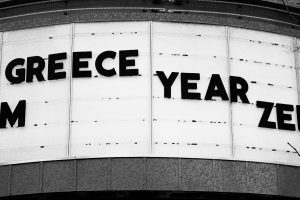 Enjoying Greek meze is a treasured eating experience in Greece and a way of life that can be traced back to ancient times. It’s a perfect and uncomplicated way to catch up with friends over a few plates of simple tasty food and letting the wine or spirits flow. Eating meze is not an appetiser to a bigger meal, it is the meal! 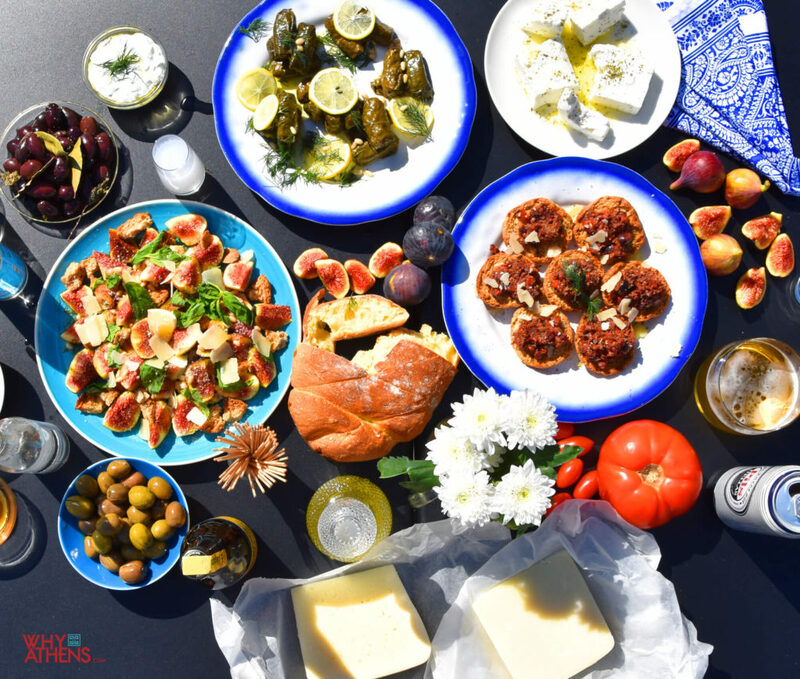 and it’s a great way to explore the many tastes and textures of Greek cuisine. Achieving authentic and evocative flavours from Greece comes down to simple fresh produce and the very best Greek extra virgin olive oil you can find. 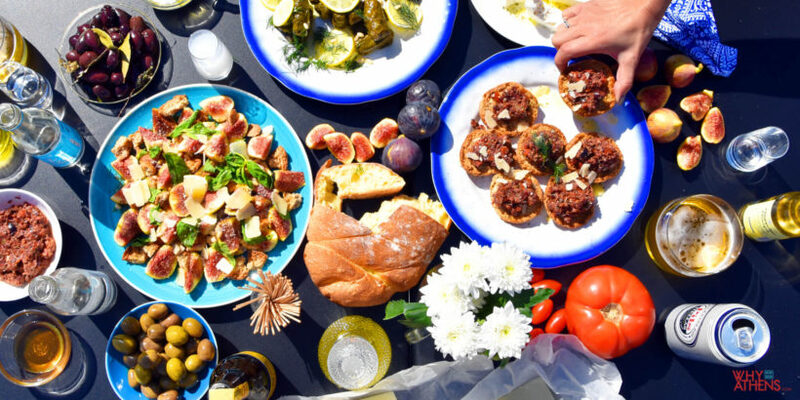 The staples of the ancient Greek diet of bread, wine, cheese, figs and olives was our inspiration to create a delicious meze tasting table that anyone can prepare at home (just add your favourite friends). We reached out to our good friend and talented Le Cordon Bleu trained chef, Krystina Kalapothakos to help us turn the simple into the spectacular. 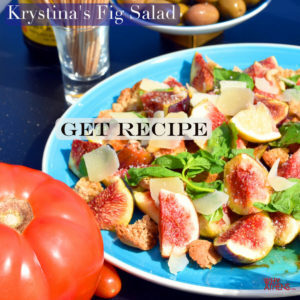 Krystina is a Greek-American chef and founder of foodie blog Kouzounas Kitchen. 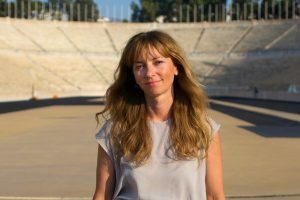 She is passionate about spreading the word of delicious Greek food. Having already published one cookbook of recipes that were inspired from her “yia yia”, she is now working on her second. 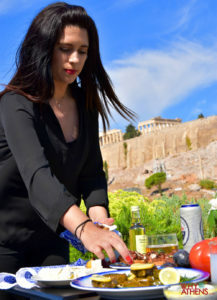 We spent a gorgeous day with Krystina on her recent visit to Athens, and assembled the perfect Greek meze table on the rooftop terrace of the AthensWas Hotel. 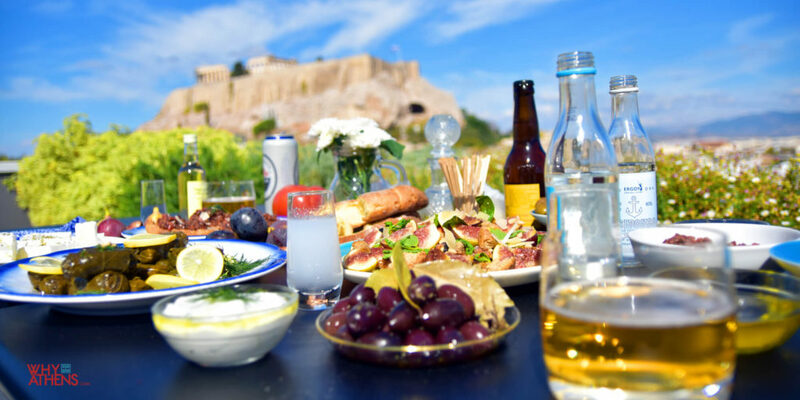 The Acropolis was of course in full view, reminding us again of those ancient Greeks, who among other things, enjoyed the simple things in life; good food in good company. Always use the freshest and best produce available to you. Quality equals flavour! 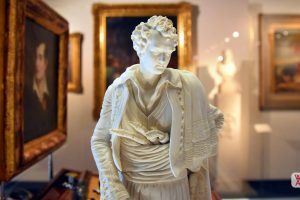 A big EFHARISTO goes to Krystina Kalapothakos and her philhellene co-traveller Larry for their assistance with putting this article together. Special thanks also to the staff at AthensWas Hotel for their generous hospitality. It is always such a treat visiting your hotel. 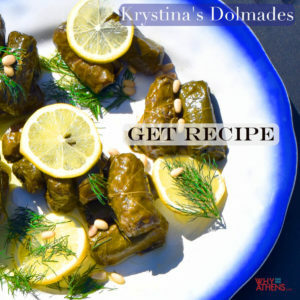 Krystina’s cookbook Back to my Roots is available online from Amazon.